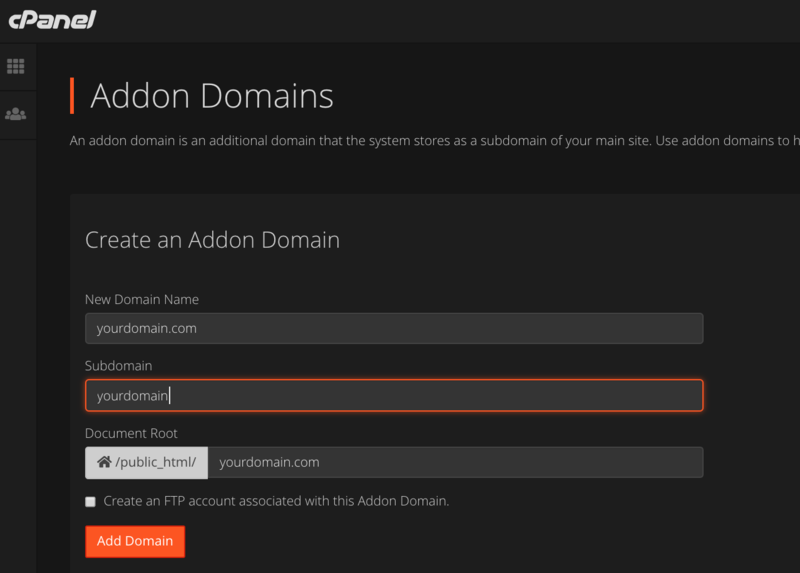 How to install an additional domain in Cpanel? Type the full domain name in the field called “New domain name”. Then, check that the name of the folder is ok and press “Add domain”. This will create the SSL certificate with autoSSL (if set up), the DNS records, the folder that you can access through FTP.